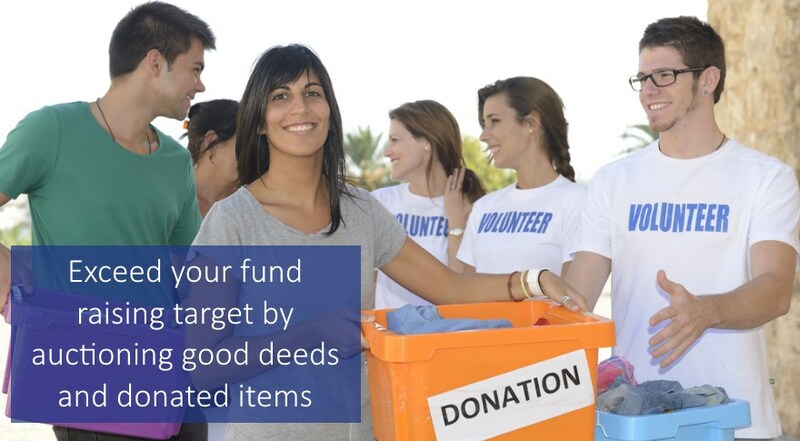 The service, based in the UK, has enabled fundraising for many causes and often used annually. An auction may be started in minutes and people invited to contribute a good deed or an item. Bidders can bid online and then optionally conclude at a live event. Function for bidders to set reminders on promises. 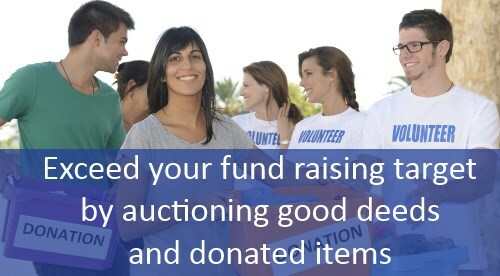 Anyone can start an auction for a registered cause. Via the service, others may donate promises and place bids until the end of online bidding. The service provides an auction management facility and tracks progress to your target. To maximise the funds that you raise, there is no commission or any charge for the services. Instead, new features and running costs are funded through donations and sponsorship.